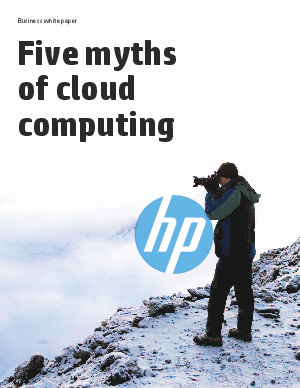 This white paper separates fact from fiction, reality from myth, and, in doing so, will aide senior IT executives as they make decisions around cloud computing. While dispelling cloud computing myths, we will answer tough questions: How hard is it to adopt a private or hybrid cloud? How difficult is it to maintain and secure a cloud? How will the cloud transform my business? Do I have the right skill sets in place? What are some of my cost considerations? HP and Intel are committing extensive resources to helping customers with all of their questions and concerns around cloud computing.